This house, in gabled, Elizabethan style was built in Bebington, Wirral in the early 1880s for Mr John J.Evans J.P., a partner in a firm of Liverpool druggists. It was designed by Sir Aston Webb (his brother-in-law) and featured large mullioned windows and a red tiled roof. White sandstone from the local Storeton quarry was used. 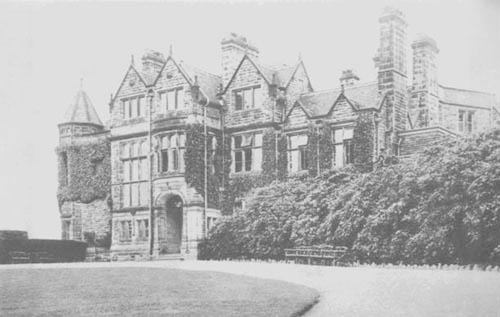 It was enlarged some seven years later and continued to be occupied by Mr Evans until the end of WWI. It was later owned by Jacobs Biscuit Company and was taken over by Bebington Council in the 1920s and used as council offices. In 1935, a new 9-hole golf course was laid out in the grounds with part of the building being used as a clubhouse. The house has since been demolished but a lodge and stables survive. 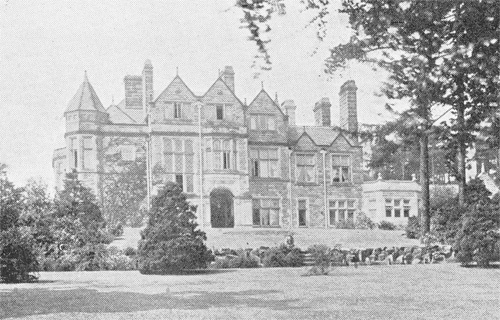 When the house was demolished in the late 1950s, the clubhouse was transferred to the above mentioned stables and in the 1970s the course was extended to 18-holes when Lord Leverhulme sold Needwood Farm to Wirral Borough Council.